Notes and Calendar are lovely apps that remind us what has happened or what has to be done. However, if you have not developed a habit to delete your iPhone notes or reminders in a timely manner, then it will give you a big headache to wipe them one by one. Accumulated notes may also expand your device backup time via iTunes or over iCloud. 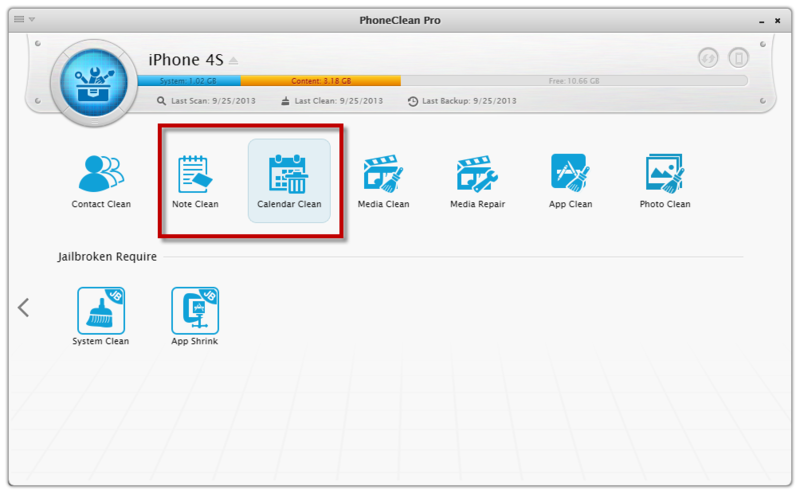 Read on this tutorial to find out how to mass delete iPhone notes / calendars with PhoneClean. 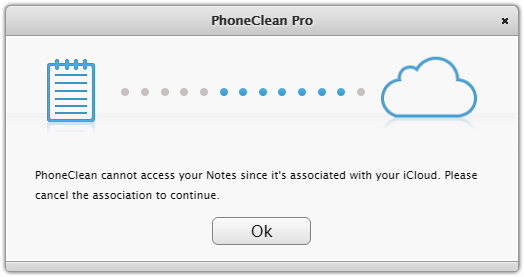 Tip 1: when clicking Note Clean or Calendar Clean, if you find PhoneClean reminds you with window below, then please follow this tutorial to handle it.